Sample 30+ of Europe’s finests beers. Back for its third year, Euro Bierfest! The craft beer scene has just started popping in LA, but back in Europe they’ve been at this game for THOUSANDS of years. 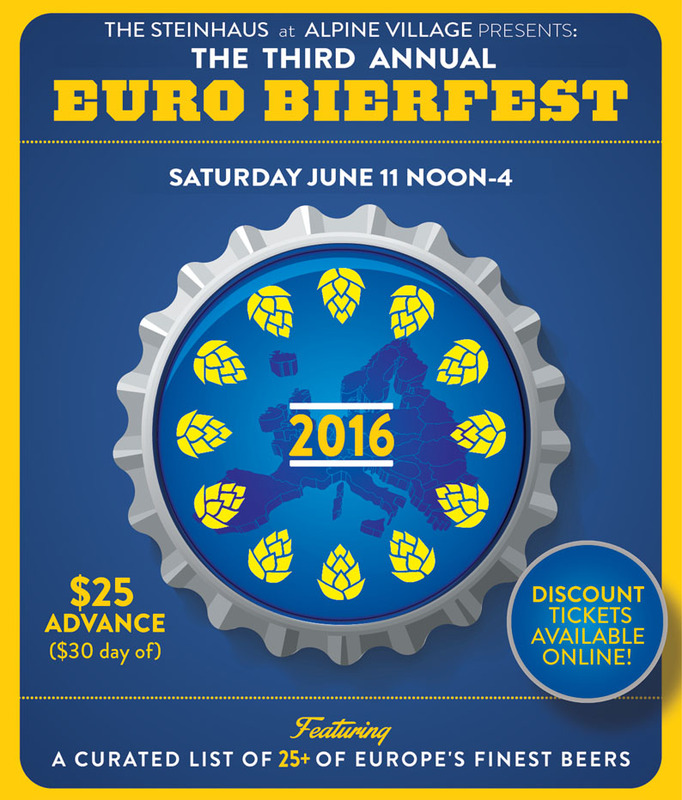 Come to Euro Bierfest to try out the origins of all of the beer styles you’ve come to know and love. 30+ beers for only $25 advance ($30 at the door)! Discover Belgian sours, English Porters, French Ciders, German Doppelbocks and a host of other styles in the air-conditioned Alpine Village restaurant with 500 other beer lovers. Details on specific beers coming soon! RSVP for our Facebook event for more up-to-date info! Get ready to sample some of the most amazing beers shipped all the way across the Atlantic for your tasting pleasure. Keep an eye out for some of your favorite European bottled-beer varieties coming straight out of the tap! For more up-to date information, RSVP on our FACEBOOK EVENT page. 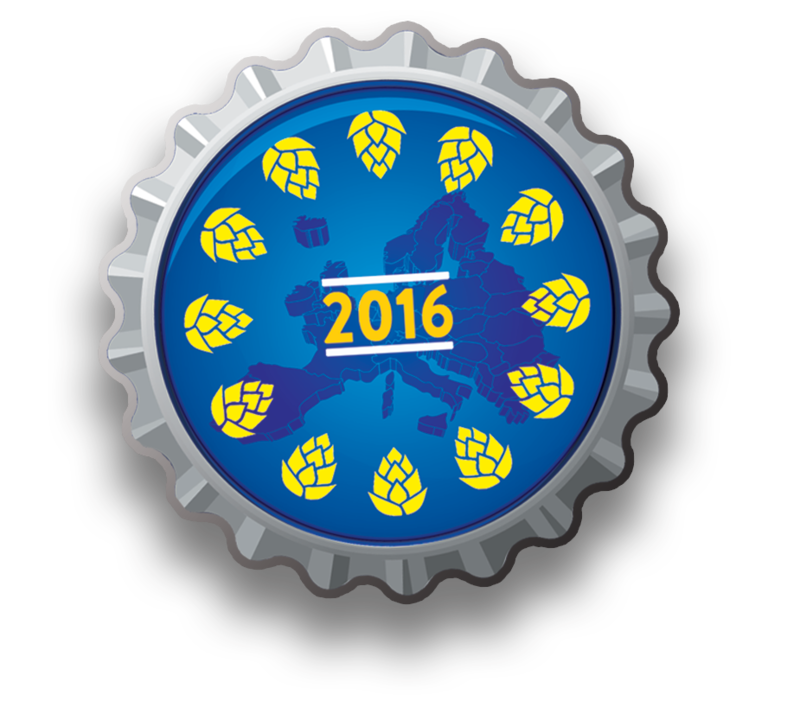 from breweries all over Europe! Enjoy delicious German-inspired food with your bier! 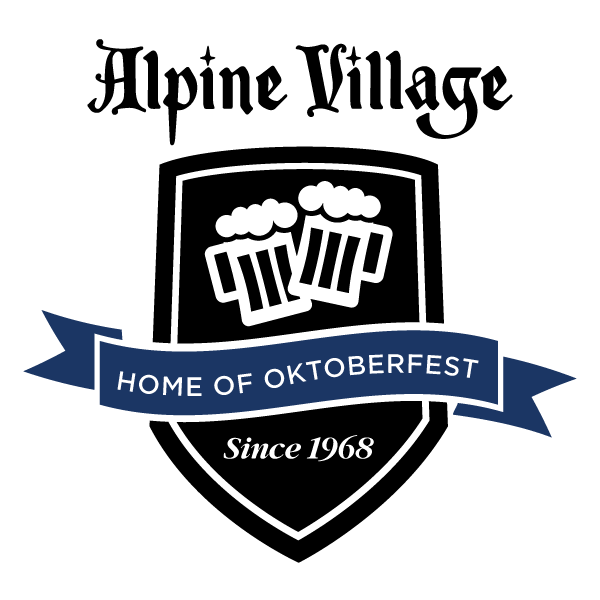 Our village features a Restaurant offering a delicious selection of German-inspired food, along with a Beerhall offering a huge selection of imported and craft biers on tap. At night the restaurant transforms into a nightclub featuring an eclectic array of music from Wednesday to Sunday. The Alpine Village Imports Market features a huge array of German foods and products, as well as our award winning sausages and bakery. Food will be available during the event! This event is for 21 and over with valid I.D. Designated Drivers do not need a ticket to enter the event. If you are a Designated Driver, please inform the staff at the door and they will let you into the event. Designated Drivers may purchase food (excluding food tastings) and non-alcoholic beverages separately.